At the center of Mountains Beyond Mountains stands Paul Farmer. Doctor, Harvard professor, renowned infectious-disease specialist, anthropologist, the recipient of a MacArthur "genius" grant, world-class Robin Hood, Farmer was brought up in a bus and on a boat, and in medical school found his lifes calling: to diagnose and cure infectious diseases and to bring the lifesaving tools of modern medicine to those who need them most. This magnificent book shows how radical change can be fostered in situations that seem insurmountable, and it also shows how a meaningful life can be created, as Farmerbrilliant, charismatic, charming, both a leader in international health and a doctor who finds time to make house calls in Boston and the mountains of Haitiblasts through convention to get results. Mountains Beyond Mountains takes us from Harvard to Haiti, Peru, Cuba, and Russia as Farmer changes minds and practices through his dedication to the philosophy that "the only real nation is humanity" - a philosophy that is embodied in the small public charity he founded, Partners In Health. He enlists the help of the Gates Foundation, George Soros, the U.N.s World Health Organization, and others in his quest to cure the world. At the heart of this book is the example of a life based on hope, and on an understanding of the truth of the Haitian proverb "Beyond mountains there are mountains": as you solve one problem, another problem presents itself, and so you go on and try to solve that one too. Six years after the fact, Dr. Paul Edward Farmer reminded me, "We met because of a beheading, of all things." It was two weeks before Christmas 1994, in a market town in the central plateau of Haiti, a patch of paved road called Mirebalais. Near the center of town there was a Haitian army outposta concrete wall enclosing a weedy parade field, a jail, and a mustard-colored barracks. I was sitting with an American Special Forces captain, named Jon Carroll, on the buildings second-story balcony. Evening was coming on, the towns best hour, when the air changed from hot to balmy and the music from the radios in the rum shops and the horns of the tap-taps passing through town grew loud and bright and the general filth and poverty began to be obscured, the open sewers and the ragged clothing and the looks on the faces of malnourished children and the extended hands of elderly beggars plaintively saying, "Grangou," which means "hungry" in Creole. Paul Farmer finds ways of connecting with people whose backgrounds are vastly different from his own. How does he do this? Are his methods something to which we can all aspire? youre trying to lessen some psychic discomfort (24). Do you agree with the way that Farmer makes personal sacrifices? For what kinds of things do you make sacrifices, and when do you expect others to make them? Kidder points out that Farmer is dissatisfied with the current distribution of money and medicine in the world. What is your opinion of the distribution of these forms of wealth? What would you change, if you could? Dr. Farmer does not have anywhere near the name recognition of, say, Albert Schweitzer or Mother Teresa. But if any one person can be given credit for transforming the medical establishment's thinking about health care for the destitute, it is Paul Farmer. Mountains Beyond Mountains is inspiring, disturbing, daring and completely absorbing. It will rattle our complacency; it will prick our conscience. One senses that Farmer's life and work has affected Kidder, and it is a measure of Kidder's honesty that he is willing to reveal this to the reader. In this masterpiece, Kidder will take you so deep into their journeys that you can almost feel the oppressive Haitian heat. In this excellent work, Pulitzer Prize-winner Kidder immerses himself in and beautifully explores the rich drama that exists in the life of Dr. Paul Farmer.... Throughout, Kidder captures the almost saintly effect Farmer has on those whom he treats. [A] skilled and graceful exploration of the soul of an astonishing human being. Farmer's work is fascinating--as is the author's compassionate portrayal of the lives of the Haitians with whom his subject lives and works; if the book has a flaw, it is that it attempts to cover too much territory. Kidder portrays a genuinely inspired and heroic individual, whose quest for justice will make every reader examine her or his life in a new light. ..readers are lucky that Mountains Beyond Mountains The Quest of Dr. Paul Farmer, a Man Who Would Cure the World has been published, not only because the extraordinary Dr. Farmer deserves the attention, but also because a sensitive and graceful writer like Tracy Kidder has chosen to tell his story. The result is a tale that inspires, discomforts and provokes. A fine writer and his extraordinary subject Tracy Kidder, in giving us Paul Farmer, lifts up an image of hope–and challenge–that the world urgently needs. Simply put, this is an important book. The central character of this marvelous book is one of the most provocative, brilliant, funny, unsettling, endlessly energetic, irksome, and charming characters ever to spring to life on the page. He has embarked on an epic struggle that will take you from the halls of Harvard Medical School to a sun-scorched plateau in Haiti, from the slums of Peru to the cold gray prisons of Moscow. He wants to change the world. Certainly this luminous and powerful book will change the way you see it. Whatever criticism you may have of Farmer, he has been proved correct by recent events. The story is AMAZING, and well-written. Heroes have a right to be self-absorbed. Astounding book. Has the power to disturb even the most apathetic. People need to read this book and learn more about the power of one to change the world. 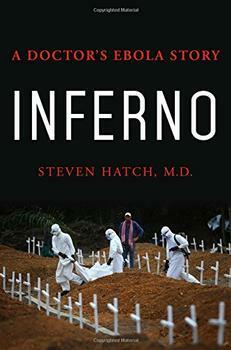 A physician's memoir about the ravages of a terrible disease and the small hospital that fought to contain it, Inferno is also an explanation of the science and biology of Ebola: how it is transmitted and spreads with such ferocity. 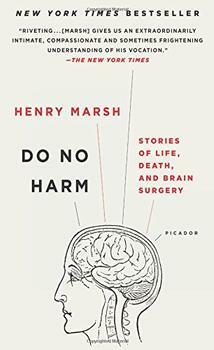 An unforgettable insight into the countless human dramas that take place in a busy modern hospital, and a lesson in the need for hope when faced with life's most difficult decisions.